On Tuesday, July 21, 2015, at 3:28pm, officers responded to a suspicious person call at the Lions Park, located at 1600 E. Stan Schlueter Loop. The caller said that an elderly Asian female had offered cookies to their child and had also picked up another child without the parent’s permission. The officers arrived at 3:31pm and located the elderly female at the Senior Center and soon realized that there was a language barrier, as the female did not speak English. The officers spoke with the female’s family member and it was determined that there was no malicious intent on her part and that she was just being friendly with the children. After officers spoke with the female and her family member, the female understood that it was not the proper thing to do. There have been no other reports of a female attempting to take children. The officers who responded to Lions Park did not feel there was a threat to the children and felt this was a cultural difference involving the elderly female. Killeen Police investigate suspicious device in northern Killeen. Officers were called to the 1500 block of N. Gray St. at 9:14am on Thursday, April 03, 2014, after the owner of a red Chevy pickup was told there was a suspicious device located on the hood of his truck. Officers arrived and saw that the device appeared to be some type of explosive. 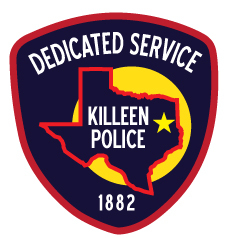 The Fort Hood Explosive Ordinance Disposal (EOD) was contacted and asked to assist the Killeen Police Department by identifying and assessing the suspicious device. The Fort Hood EOD arrived to the 1500 block of N. Gray St. and assessed the device. At approximately 1:00pm, after all assessments were made, it was determined that there were no explosive hazards found in the device. There is no reason to believe this incident and the shooting incident on Fort Hood on Wednesday, April 2, 2014 have any relation. 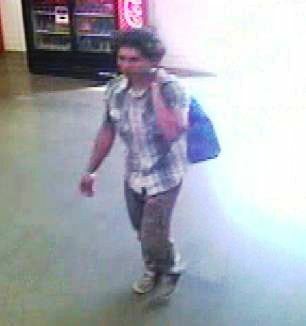 The Killeen Police Department is asking the community if they can identify a man seen in these photos. 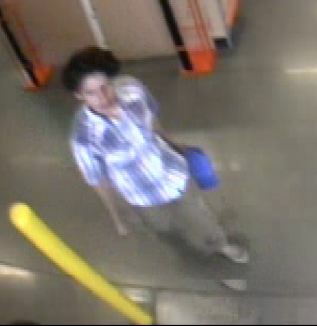 The man was acting unusual while inside the Home Depot on Friday, March 21, 2014. He started asking employees several questions that were suspicious in nature and began making the employees uneasy. When the employees were unable to answer his questions, he left the store abruptly. The Killeen Police Department was contacted but Officers were unable to locate the man upon their arrival. Detectives would like to speak with the man in the photos and they are asking anyone who has information about him or can identify him to contact Crime Stoppers at 526-TIPS, go online at www.bellcountycrimestoppers.com or text BELLCO along with the tip to 274637. Text HELP for help with the tip or text STOP to stop the tip, data and message rates may apply.